The Portland Society for Calligraphy was founded by Lloyd Reynolds and a group of his students after a long alliance with the Society for Italic Handwriting in England. 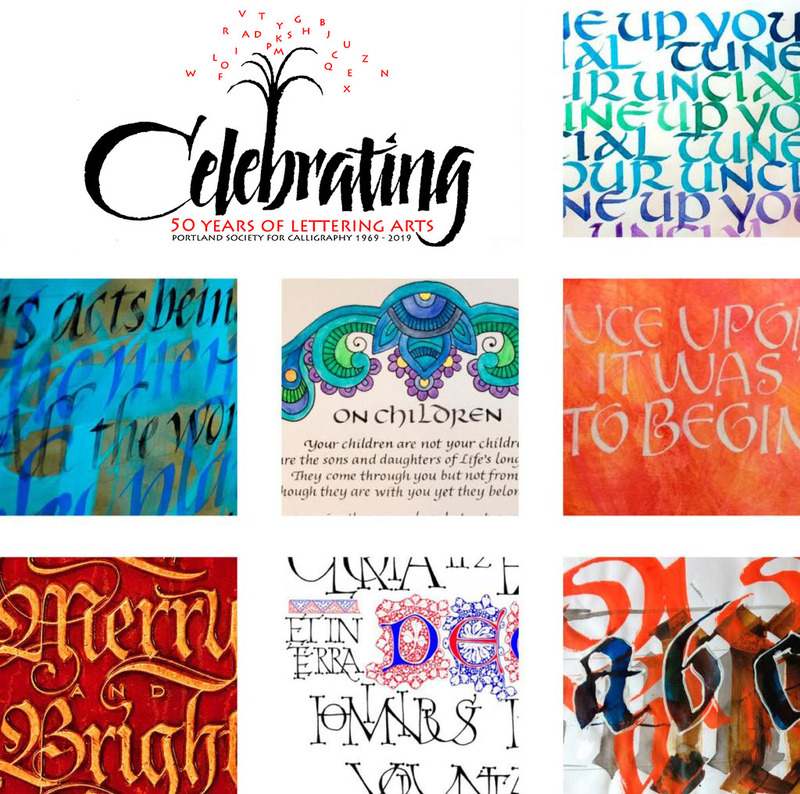 Portland Society for Calligraphy is the oldest calligraphy guild in the United States. We were first known as the Western American Branch of the Society for Italic Handwriting. We offer an extensive workshop program aimed at all levels of skill. 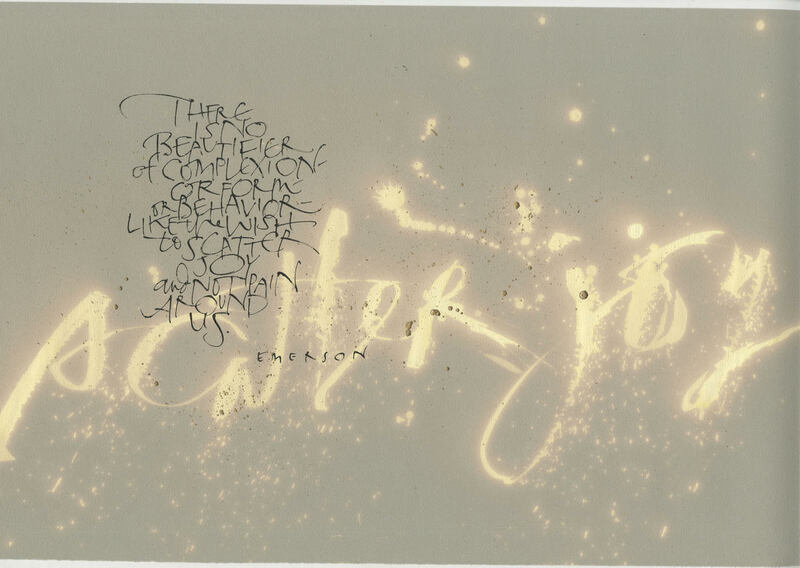 Our teachers include internationally renowned calligraphers as well as local talent. We sponsor an annual weekend retreat during the month of February at the Menucha Retreat Center in the beautiful Columbia Gorge. The Guild also exhibits members’ artwork in an annual non-juried show. 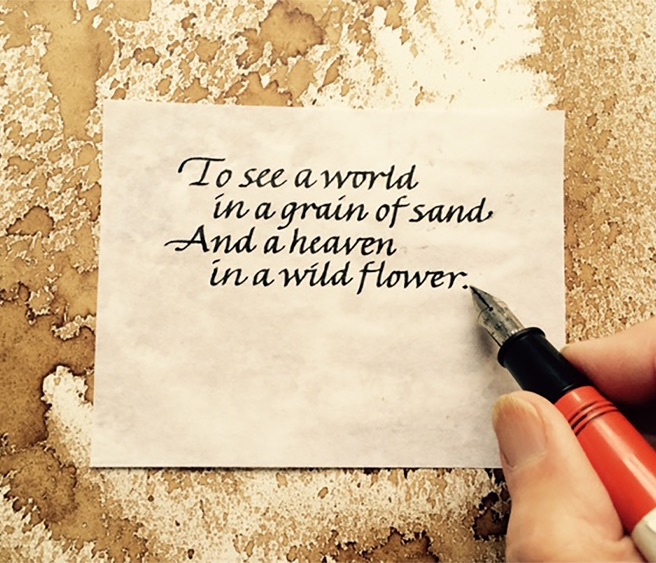 Becoming a member of your local calligraphy guild is a great way to find friends, mentors, and professional contacts. Our guild contains some of the area’s most notable and accomplished scribes, as well as a number of newcomers looking to dip their pen for the first time. We encourage you and your friends to come and visit us during one of our regular monthly meetings (September-June), and see what all the fuss is about. When you arrive, make sure to tell someone it’s your first time visiting and we’ll be sure to make you feel right at home. A presentation by Inga Dubay. Inga Dubay shares and demonstrates how to increase our ability to“see” as well as to improve technical and compositional skills. 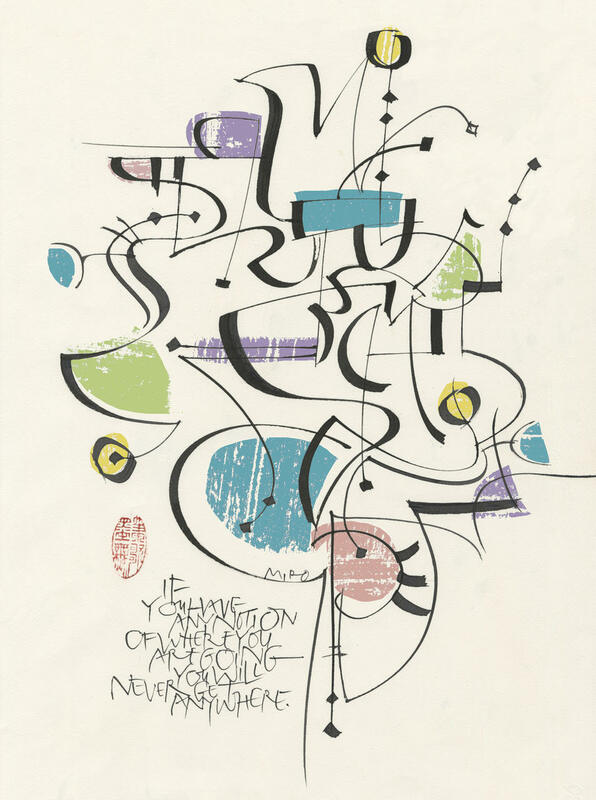 This workshop will look at some of the principles and ideas behind the works of Picasso, Klee, and contemporary non-traditional calligraphic artists.